We offer a wide variety of high-quality, durable refrigeration hinges here at Monroe. These refrigeration hinges are built with quality and are heavy-duty to hold the door tight against the door frame and prevent warm air from seeping into your refrigeration compartment. 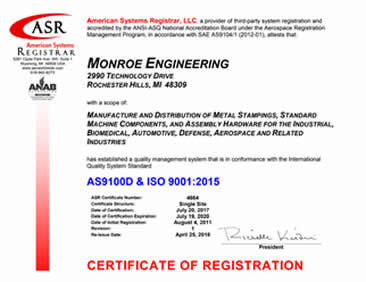 Monroe Hinge & Stamping Company is ready to work with you on developing the right refrigeration hinge for your application. All of our refrigeration hinge projects start with a question, a print or a sketch. We are ready to provide you with the support your need to complete the design and manufacturing and delivery of hinges for your project. 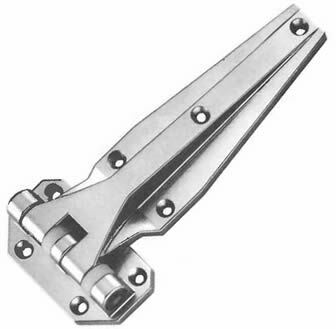 Are you looking for Refrigeration Hinges?